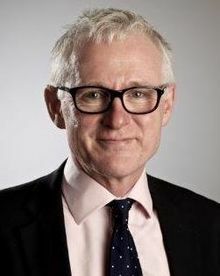 Former Care Minister Norman Lamb wrote on Politics Home Website ahead of his debate on Thursday, 15th March on ‘Access and waiting time standards for early intervention in psychosis’. Every year, psychosis causes misery and suffering for thousands of people across the country. This severe and often debilitating condition leads to lives blighted by ill health and wasted potential if not treated properly, as well as costing the economy an estimated £11.8 billion due to healthcare costs, unemployment and lost productivity. As Care Minister in the Coalition Government, I embarked on a mission to introduce the first ever access and waiting time standards for mental health care in the NHS. This included a commitment that from April 2016, at least 50% of people experiencing a first episode of psychosis would be treated with an evidence-based package of care within two weeks of being referred. The ‘Early intervention in Psychosis’ (EIP) programme is a gold standard in mental health care. Evidence shows that it is highly effective in supporting recovery and helping to stop psychosis becoming entrenched. But while the majority of patients are starting treatment within the two-week target, my recent investigation found that most parts of the country are failing to deliver a NICE-approved care package that meets the national standard. In response to my Freedom of Information requests, less than a third of mental health trusts (29%) said that they could guarantee their patients the full NICE package of care. This is unsurprising when we found that trusts are spending, on average, just half of the amount NHS England estimates is needed to provide a properly-staffed Early Intervention team. A chronic shortage of funding and staff means that in many areas, only a fraction of patients receive the different treatments and interventions that an Early Intervention in Psychosis service should offer – including specialist cognitive behavioural therapy, support for healthy living, and interventions to support families and reduce the risk of relapse. Worryingly, we also discovered that a quarter of trusts are restricting their EIP services to patients up to the age of 35. Just imagine that this was happening in cancer care – with patients being routinely denied the full course of life-saving chemotherapy or radiotherapy because of the Government’s failure to invest adequate resources. Ministers would be hauled before the Commons to answer urgent questions from MPs, campaigners would hit the streets in protest, and national newspapers would rightly demand an end to such an injustice. We saw understandable public outcry in January when it was reported that chemotherapy cycles in Oxford could be cut because of a shortage of specialist staff. The Prime Minister was forced to give assurances that patients’ right to the full treatment programme was not under threat. So why do we allow this to happen systematically – but largely unnoticed – in our mental health service? It should never be tolerated in a publicly-funded NHS. The consequences of failing to make this investment are only too well known. People with enduring psychosis are more likely to experience unemployment, broken relationships, and repeated hospitalisation, and are at risk of dying 15-20 years earlier than the general population. Yet the evidence suggests that you save £15 in the long run for every £1 invested in Early Intervention, making it all the more shameful that this is not being given priority by the Government. Warm rhetoric will not deliver ‘parity of esteem’. It is time for ministers to show leadership in the fight for equal access to mental health treatment and end the outrageous discrimination that those with psychosis suffer due to a lack of NHS funding. In a Westminster Hall debate this afternoon, I will challenge the Government to commit the resources needed to implement the new standards effectively and tackle the postcode lottery in access to services. However, better official data is needed to monitor progress and ensure that effective support is available in all parts of the country. That is why I will also seek a commitment that NHS England will start to measure not only whether patients start their treatment within two weeks, but also whether they are receiving a high-quality package of care that meets national guidelines. People with psychosis deserve the same access to evidence-based treatment, on a timely basis, that we expect for physical conditions such as cancer. The Government maintains that progress is being made – but in reality this has been far too slow. Early Intervention in Psychosis can save lives. If the Prime Minister is serious about tackling the ‘burning injustice’ of poor mental health care, she must ensure that these vital services are available to everyone who needs them.